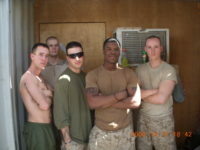 Joe Wrightsman reported to Recruit Training Battalion, MCRD Parris Island for Basic Training on 16 May 2005. After graduating on 12 August 2005, he reported to the School of Infantry at Marine Corps Base, Camp Pendleton. 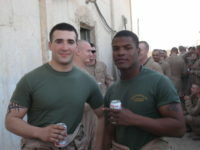 He graduated with the Military Occupational Specialty of 0311 Rifleman on 21 October 2005. After graduation, Private First Class Wrightsman reported to Kilo Company, 3d Battalion, 3d Marine Regiment, MCBH Kaneohe Bay, Hawaii for duty. 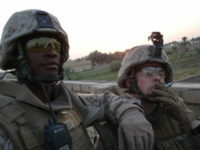 In March 2006, Lance Corporal Wrightsman deployed with Company K, 3d Battalion, 3d Marines to Haditha, Iraq, where he served as a point man for 1st squad in 1st platoon. 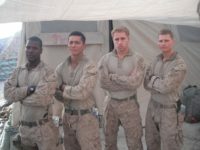 In July 2007, he deployed in support of Operation IRAQI FREEDOM to Kharma, Iraq, where he served as a team leader for his squad. In April 2009, Corporal Wrightsman arrived in Ar Ramadi, Iraq in support of Operation IRAQI FREEDOM, where he was a squad leader for 1st platoon. 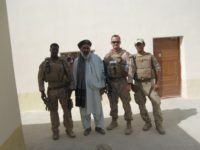 In May 2010, he deployed to Afghanistan in support of Operation ENDURING FREEDOM, as a squad leader for 3rd platoon where he died on 18 July 2010. 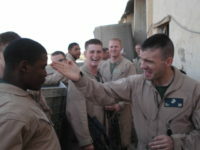 He was combat meritoriously promoted to Sergeant effective 2 August 2010. Sergeant Wrightsman is survived by his son Makae, his father John Wrightsman, mother Connie Merritt, brothers Michael, Lonnie, and Andre, and sisters Jomice, Tiamillia, Lillie, Trina, Shalon, Ashley and Rachelle. Awards: Navy and Marine Corps Medal, Navy and Marine Corps Achievement Medal, Combat Action Ribbon, Navy Unit Commendation, Marine Corps Good Conduct Medal, National Defense Service Medal, Afghanistan Campaign Medal, Iraq Campaign Medal w/ 3 stars, Global War on Terrorism Service Medal, Sea Service Deployment Ribbon w/ 3 stars, NATO Medal, Certificate of Commendation.